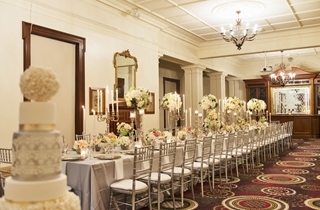 Situated in the heart of Brisbane CBD stands the enchanting Treasury Brisbane Hotel; the city's grandest and most majestic wedding venue. 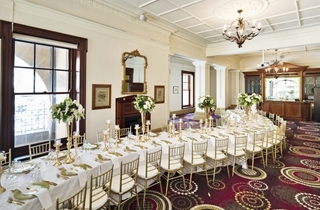 With high ceilings, original heritage fixtures and charming modern décor, Treasury Brisbane is a picture-perfect mix of old and new. 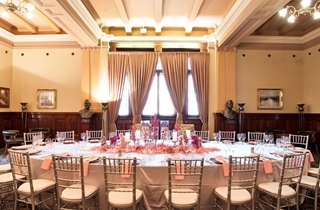 Offering a range of lavish function spaces, award-winning restaurants and bars, premium accommodation suites and a world-class events team, Treasury Brisbane is the perfect venue your hen’s party, bridal shower through to your dream wedding. 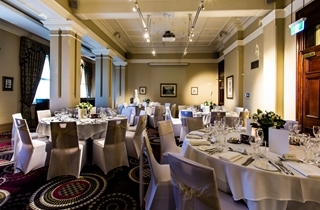 Originally the site for the storage and sale of Queensland’s survey maps and plans, the Map Room today provides the ideal venue for a variety of events. 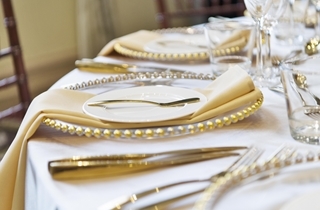 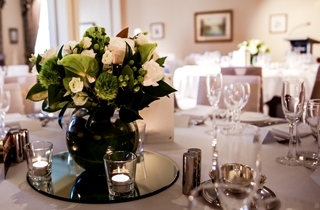 Ryan’s Private Dining Room is situated overlooking the beautiful Queen’s Park. 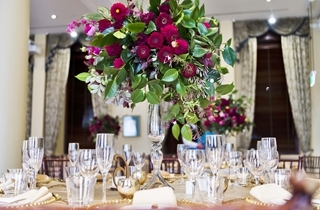 This elegant dining room features its own original and ornate timber bar and chandeliers. 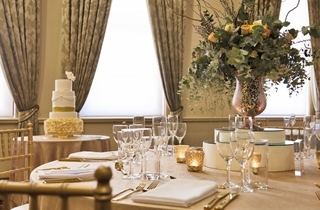 The Surveyor's Room is an ideal Wedding venue with an adjoining annex perfect for a pre-ceremony/reception waiting room. 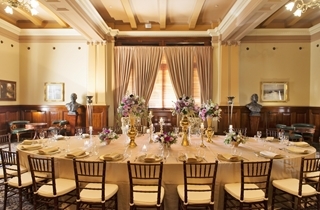 After moving from the Treasury Building in 1905, the Land Court held its sittings in this room until 1972. 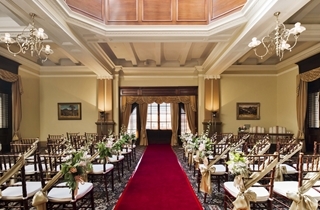 The Court Lounge has now been restored with reproduction colonial furnishings to create the ideal setting for an intimate ceremony or cocktail reception. 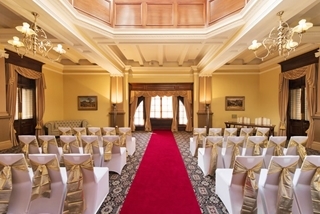 Featuring an impressive skylight, the room overlooks the picturesque Queens Park. 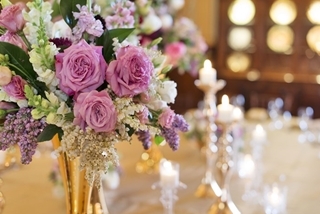 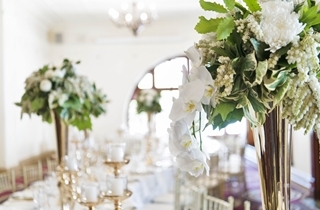 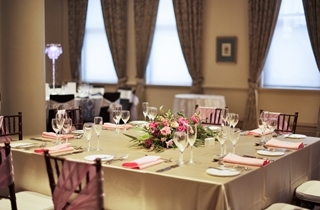 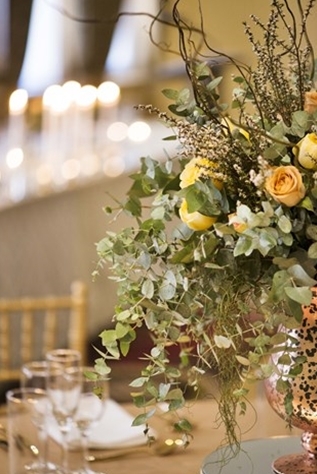 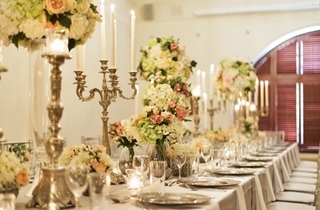 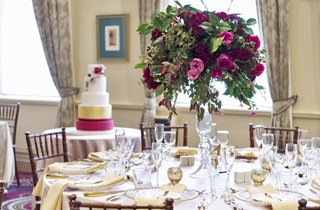 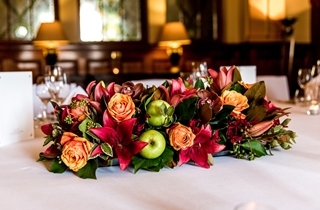 The Cabinet Room is perfect for intimate weddings receptions of 20 guests or less. 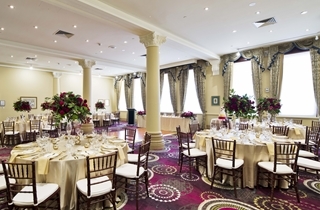 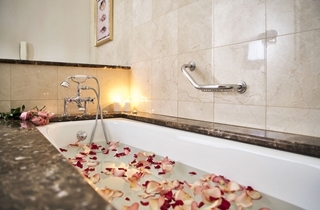 Located on the second floor of Treasury Brisbane's hotel building it overlooks Queens Park. 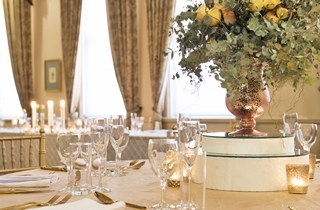 Located on Level 3, our elegantly restored Court Lounge features an impressive skylight and overlooks the picturesque Queens Park. 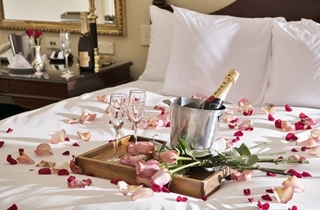 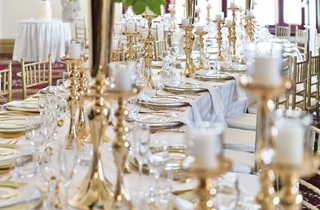 *If reception for 40+ guests on a Wedding Package is also booked at the Hotel. 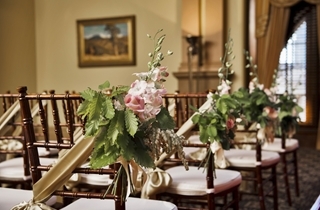 $1200.00 if booking Wedding Ceremony only. 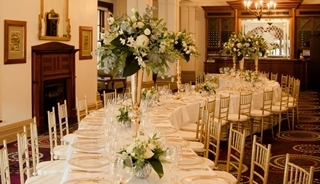 You will however need to arrange a family member of friend to operate the music on the day and also make your own Celebrant arrangements.